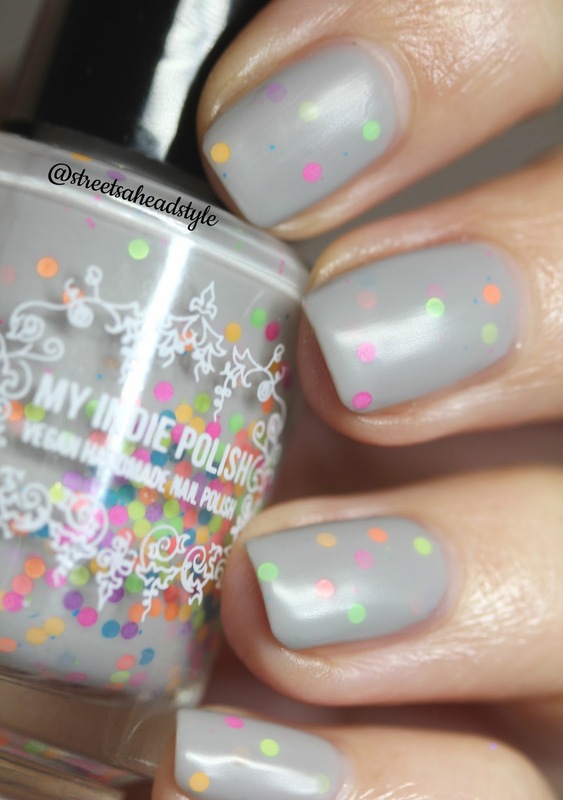 My Indie Polish #1 Egg Hunter is described as "a medium classic grey crelly with neon glitter dots. 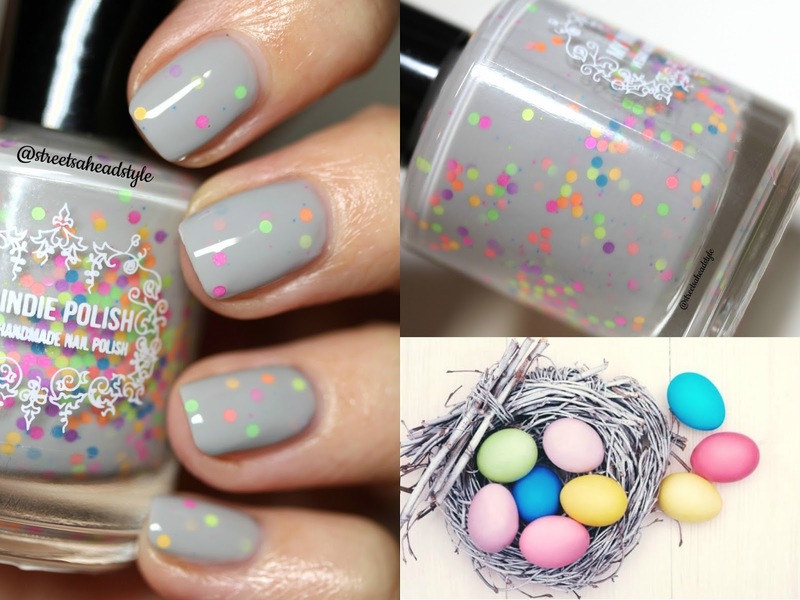 The perfect old school glitter crelly to make a beautiful Easter-inspired pond mani." Available only through the December Polish Pickup for $12.50 USD in a 15mL bottle. 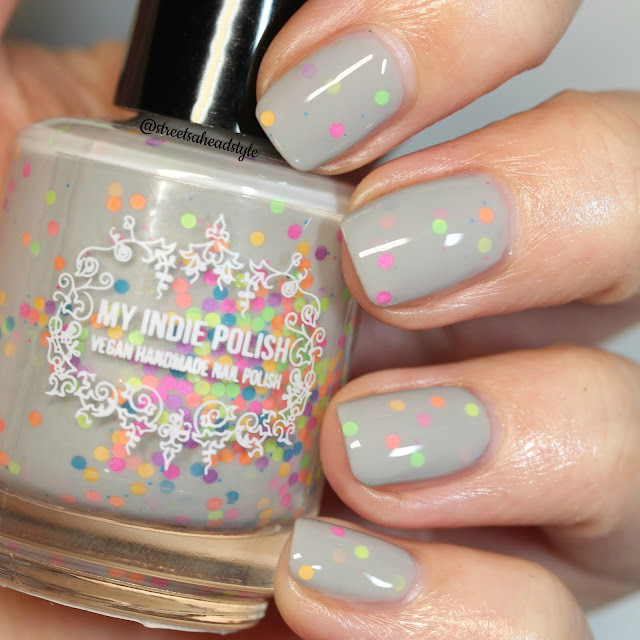 I am wearing three easy coats plus a glossy quick dry top coat in these first few pictures. 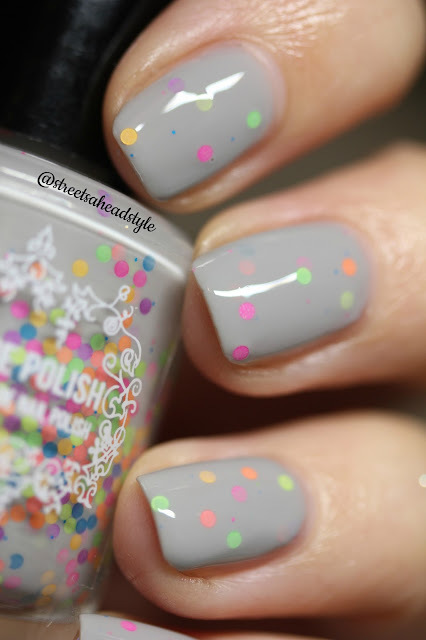 While I am wearing three coats, they were so easy and smooth especially for a crelly. The glitters came out easily and I would highly recommend three coats because it allows for greater depth and a building up of the glitters between the layers. 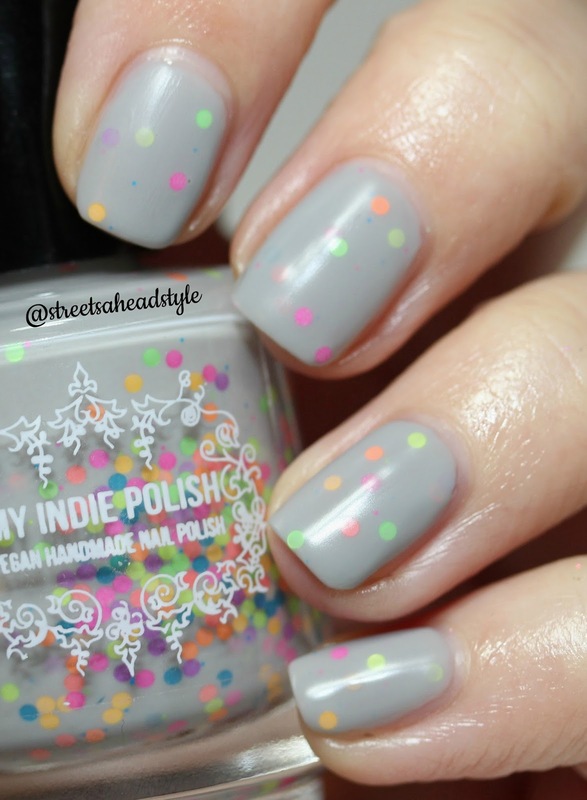 And - super good news - the glitters in this crelly lay really flat and it's not top coat hungry at all! 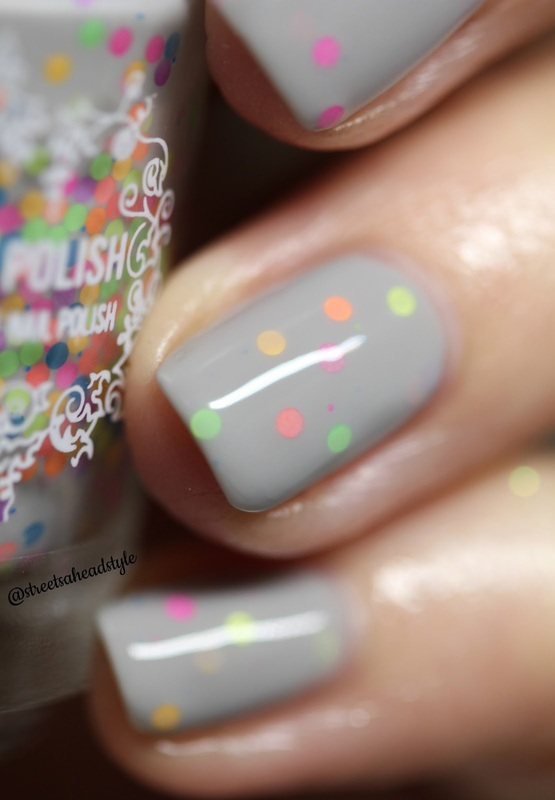 It was shockingly glossy and smooth even before I added top coat. No application issues whatsoever. 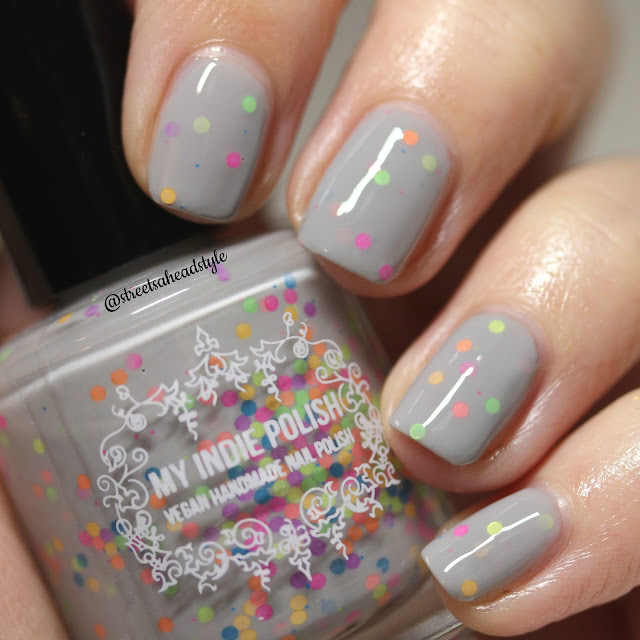 I really love the MIP formula and if you've been wanting to try one of their polishes, let #1 Egg Hunter be the one you try - it's so cute and fun! Time to mattify! Well, technically, I waxed it using Cult Nails Wax That Top Coat because I don't actually own a matte top coat. I really love how it looks dulled down even though I really am a glossy nail girl at heart.